Forget E9 - what about the new Clone Wars trailer?!!!!!!!!!!!!!!! E9 isn't the buzz of star wars for me right now, not at all. I am more pumped to see where the return of the clone wars is going to go. New duel blue lightsabers - a new version of Asokha Tano for the game perhaps? Not to mention the new Clone "99" squad - are we going to get a boost to the clone faction of the game? So much to look at in this trailer. I always wanted Darth Maul's story to continue - captured by Sidious at the end of the last clone wars and then he is a lone hermit in Rebels, yet a leader of Crimson Dawn in Solo. What use to Sidious have for him in the last Clone Wars? Maul was used to lure out the remaining Nightsisters and kill Mother Talzin. This was done by way of a canonical comic story. I hope we get to see the use of Maul by Sidious to destroy the nightsisters and how Maul returns to form Crimson Dawn from his remaining underworld control. What is everyone else's thoughts and speculations? 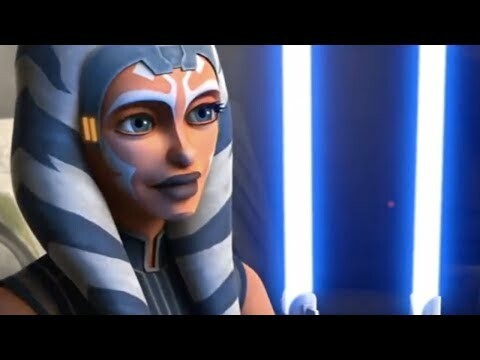 Not just for the upcoming CLone Wars series, but also what implications we may see here in game. Looks like she is Really going to be a main focus for final season. Looks awesome. 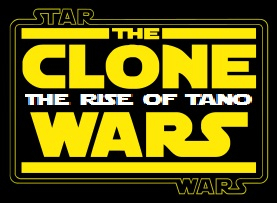 I think that the clones wars season looks more promising than E9. Mybe now we may get a new version of Darth Maul or "Maul" to the game? That is needed for sure! 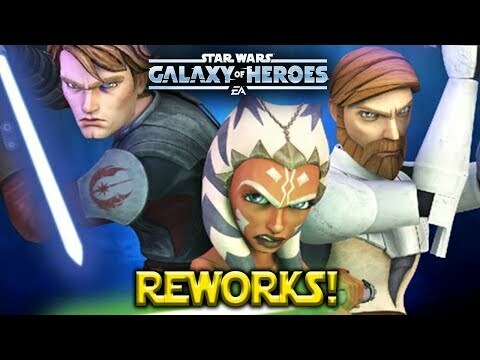 Also according to Ahnald - it looks like Jedi Knight Anakin, General Kenobi and Asohka Tano are all getting a re-work, maybe even some zetas??? Ok so, I'm a little disappointed with the so called rework of JKA, GK and AT. Not as good as I was hoping and still no zeta on JKA! A lot of people are running JKR lead Jedi teams with a GK tank - so his new zeta really does not add anything to the mix, neither does AT new synergies. Perhaps a Mace Rework as a Galactic Republic/Jedi lead will be a cool thing in the future and tie all of this together? I've seen the animatics for some of the episode arcs but the Son of Dathomir arc (Maul escapes, finds Talzin) and the Mandalorian Civil War arc (the one in the trailer) are what I most want to see. I think things are coming in the future. Many people are guessing that JKA will get a zeta later when more clone wars stuff comes. This was only a touch up. A new "Maul" is a must as well. Should he have a Sith tag?